Hearts for ACT POP UP Exhibit - Just in time for Valentines Day! Join Arts for ACT Gallery, located at 2265 First Street in downtown Fort Myers on Friday, February 8, 2019 from 6 to 8 pm for a Pop UP Exhibit with over 14 Artists. This Pop-UP exhibit is one night only-just in time to buy a variety of hand-made items for your valentine or for yourself. 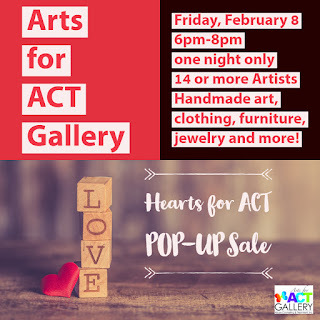 Hearts for ACT Pop UP exhibit will include, jewelry, mixed media, baskets, art clothing, art furniture, art gourds, 3D Art, photography and of course paintings, plus many more items. 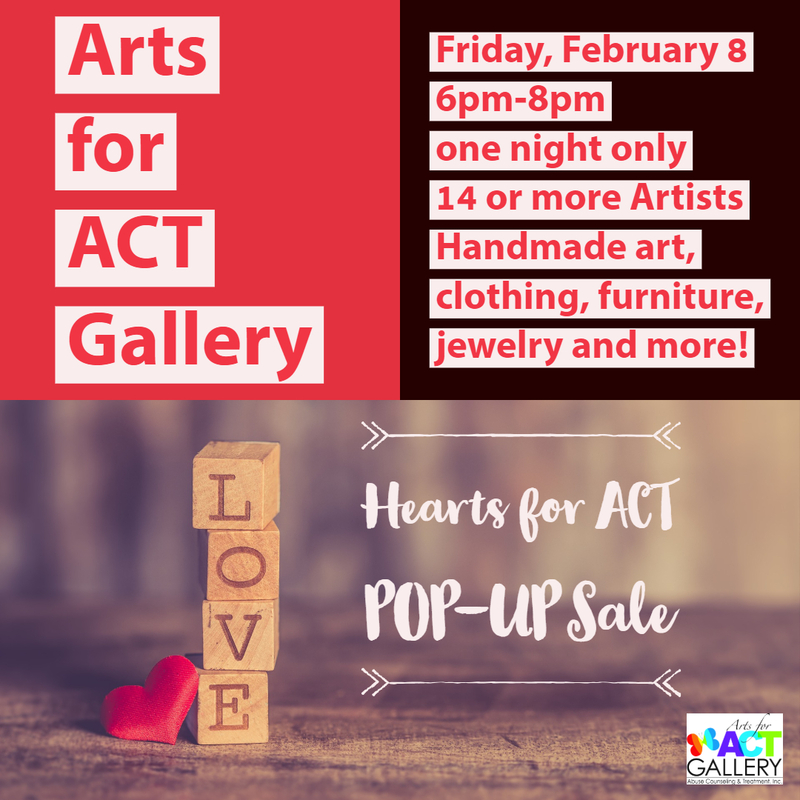 This is only a two hour event, items for sale have never been shown at Arts for ACT Gallery, mark your calendars and save the date, February 8th, from 6pm to 8pm, Hearts for ACT Pop-UP exhibit.